In addition to leading the firm’s collaborative practice, Nancy Richardson provides counsel and research in the firm’s litigation and corporate sections. Nancy was the first attorney in the Gainesville area to be trained in the flexible model of collaborative practice – an alternative to divorce litigation – in association with local mental health and financial professionals. Affiliated with the Collaborative Law Center of Atlanta, Nancy represents individuals in divorces and related disputes affecting families through either litigation or the collaborative approach. 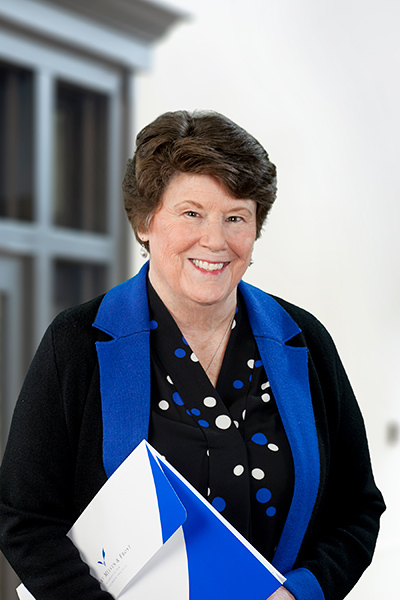 In addition to her growing collaborative practice, Nancy focuses on appellate issues. She previously worked as an appellate staff attorney with the Eleventh Circuit Court of Appeals and the Georgia Court of Appeals. This experience provides a strong advantage to clients whose civil disputes, whether business or domestic, require appellate litigation. Nancy holds a bachelor’s degree in English from St. Andrews Presbyterian College as well as a master’s degree and Ph.D in English from the University of Delaware. She earned her law degree at the University of Georgia. She has taught both English and paralegal studies at the college level. Nancy is an active member of Grace Episcopal Church in Gainesville, serving on its vestry, Class of 2010. Understanding Child Custody Laws in Georgia? When divorce happens and young children are involved, there is nothing more important that making a plan for how the children will be cared for. Many factors are considered when deciding custody and a parenting plan. A study released by the CDC claims that nearly one in four births is the child of an unmarried couple. That number has nearly doubled since 2002, and tripled since 1985. In many cases, the unmarried couple does not remain together, and a young man can be left wondering what his rights to his child are.